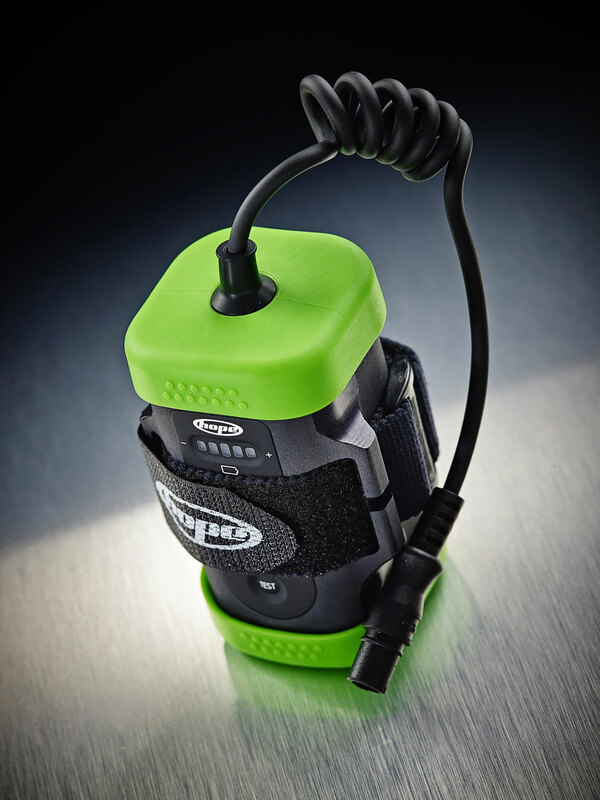 It might seem a little archaic having an external battery for a simple front bike light, but with a promised measured 1000-lumen output from the 1500 generated by the Hope R4 LED, you’ll need a good amount of power and battery life to ensure any sort of usability. Old-fashioned as it may seem, the offering from Hope actually looks pretty sleek, certainly stylish enough to suit any bike, whilst the light itself is small enough to remain relatively unnoticeable on the handlebars. Three mounting options are supplied; handlebars via the quick bayonet fitting, which allows you to optimise the position of the light. High up, forward of the stem or below to keep the bar area clear, made possible with the extra pivot provided on the mount, meaning you are always able to place the beam where you want it. Helmet mount and head harness come as standard, giving you the option to direct the light where you look too, great for any mountain bikers on a night ride. 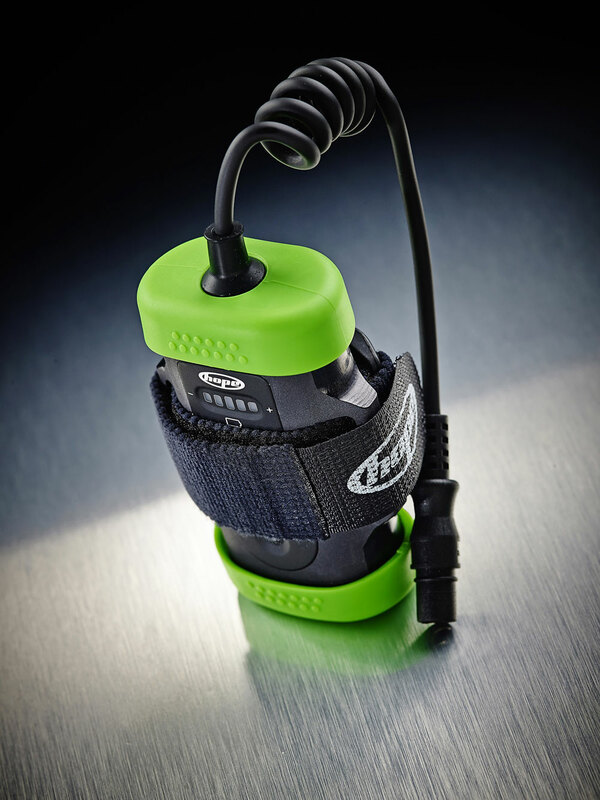 An extra 1 meter cable is supplied giving more carrying options, with either standard four cell or the optional lightweight two cell battery (that is separately purchasable) to be cleverly positioned on the bike to avoid any cluttering or annoyance, or, whilst using it as a head unit allows the battery to be placed in a pocket easily. On full power with the larger four cell battery you’ll get a 2.5 hour burn time, which considering what you get in terms of power is plenty for what most of us need. We found the six power options to be useful too for a variety of ride types, easily changeable via the simple, single rubber button on top of the light unit itself. Make no mistake this is a serious bit of kit and even on the low settings we found that the vision spread before the bike to be bright enough to see, whilst literally filling the road ahead, great for the lanes. Though the single flash option was great too for the commute and for battery saving. With a purchasable split cable to join with the Hope District+ rear light using the same battery, topped off with Hope’s renowned after services, you could have a pretty hot light set this winter.